Chandler walnut is the most important commercial walnut variety of the USA. Thin crusted, less rough, oval shaped. It's easy to break up from the shell. 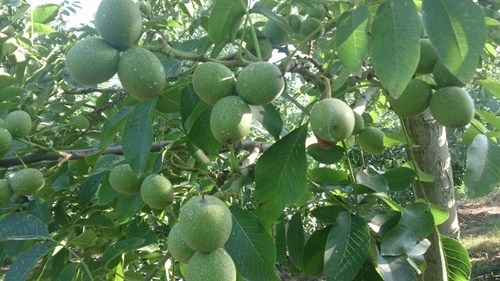 Dry and fresh walnuts are suitable for consumption. It is a kind of unaffected spring frost because it opens late. The yield in the buds is 85-90% and it is a very productive variety. Inner whiteness rate is 90-100%. 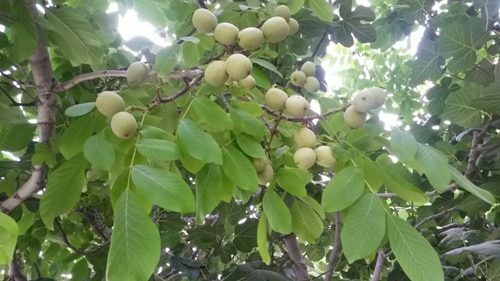 As the ends give fruit to the branches, the fruit ratio is very high in the side branches. Fruits 9-13 gr, fruit inside 6,5 gr, internal rate is 52-55%. It takes 700 hours to get cold. Sowing can be done up to an altitude of 1000 meters. It develops semi-steeply. 3 × 8, 4 × 8 and 7 × 5 are suitable for planting. It is a disease resistant variety. It should be planted with the duster. The right duster is Franguate. It is harvested towards the end of September. The fruit in the cluster is 1-4. Side branches have a very high yield rate. 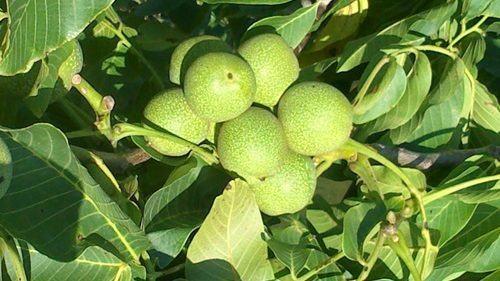 Chandler walnut seedlings are not affected by bacterial burns of fruit for late foliage. It has 34-36 mm caliber fruit. In Turkey, the US and Chile in recent years, Chandler is imported fruits. 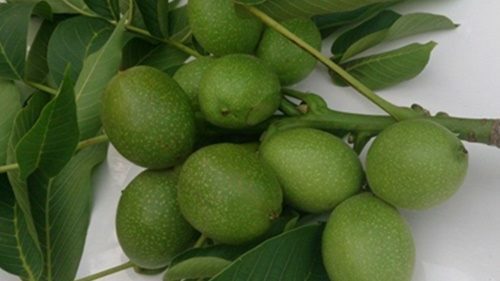 Chandler is the type of walnut sapling with the highest yield and quality for walnut farming. Franguetta X is a Lara hybrid. It is a kind of French origin that is flowering late. It should definitely be recommended to ecologists that late spring frosts are a problem. It gets dusty with Fernette. Franquette, an old French variety, is a widely cultivated variety in California. 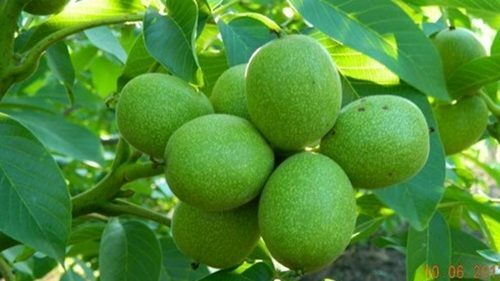 However, it has been limited in recent years due to its large tree size, its low yield and its low fruit yield. Inner color is generally very good. The harvest time is late. This is an original French flavor that is very difficult to find. Small crown suitable for intensive cultivation. Very fruity (fruit weight 13g, weight 6.5g). Approximately 5-6 years 20 kg, 8-9 years 50 kg yield. Asymmetric, carefully cut and cleaned. Not recommended in very hot places. He needs a lot of water. Pedro self-pollinates, but commercial cultivation is recommended to cultivate Franquette dusters. Franquette X is a Lara hybrid. It is a productive variety of French origin. It is dusted with ferrone. It should be recommended to ecologists whose terrestrial climate prevails.